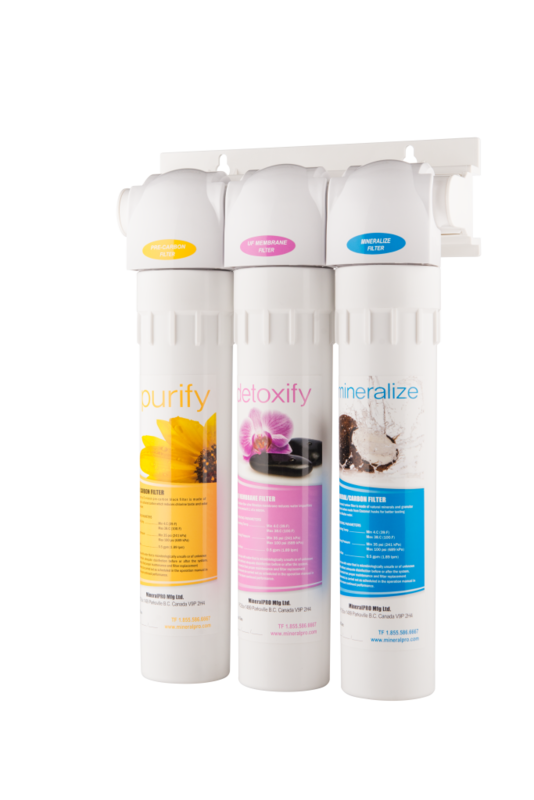 ***Please note the new #700 Filters do not fit in the original #100 series , for customers with our original 100 series systems that would like to update your system to the new 700 series for a limited time Mineral Pro will provide you with a new manifold for the modest cost of $25.00 (value of $150.00) with the purchase of a new set of 3 of the #700 filters. If you would like to update your original 100 series UF System with the new “700 Series UF”, for a limited time Mineral Pro will replace your UF manifold for the modest cost of $25.00 with the purchase of the 3 filters that go into the UF system, Carbon, UF Membrane, and Mineral Alkaline filters. Gives you a new system for the cost of the three filters!